The research is clear – when young people regularly participate in high-quality Expanded Learning Opportunities (ELOs), we see improvements in the core A, B, Cs of school success – attendance goes up, positive behaviors increase (and negative behaviors go down) and course work (and grades) improves. One of the primary goals of Beyond School Bells is to support state and local policy that helps Nebraska communities create more, high-quality sustainable ELO programs that enroll more of Nebraska’s highest need students. 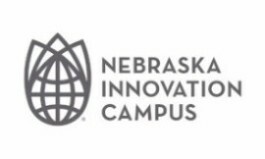 We leverage our partnerships to help policy makers understand what makes quality ELO programs, how these programs are financed, how they can engage the strengths of all Nebraska communities and, ultimately, what these programs can do to enhance outcomes for all Nebraska students and our future economy. Want updates on ELO policy? Sign up for the email list.